• Dual speed pump piston for rapid advance. • Two stage pumping action. • External adjustable pressure setting up to 700 bar. 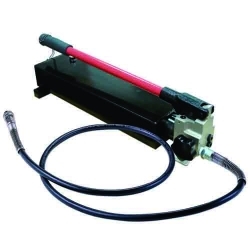 • Economical yet dependable hydraulic hand pump.